My friend, Israeli writer and public intellectual Yuval Ben-Ami set off to see what it is like to re-examine his country′s main tourist attractions with a critical native eye (all posts here), and I decided to virtually follow his path (all posts here). In my blog posts I share my memories on what it was like visiting those places as an expat in Israel. This is how Yuval describes his idea, and here I describe mine (which is also Part 1 of my journey – the Western Wall). I virtually followed him to five touristic places (listed below). I could not follow him to Safed, as I have never been there, but, having read Yuval’s post several times, I decided to replace it with Karmiel. 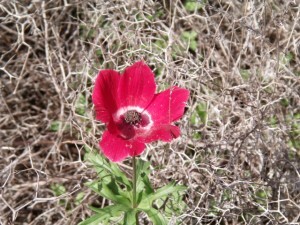 Karmiel is situated in the Galilee, not far from Acre and Safed. I had not heard about Safed before I read Yuval′s post, but the story of the town resonated with many others. In most peripheral Israeli towns there is either a growing ultra-religious population or a large minority of Russian-speakers, who settled in the 1990s. These are arguably two most stereotyped Jewish minorities in Israel, and making fun of them is considered safe even among otherwise politically correct individuals. People who would never mock or stereotype Arabs or Ethiopian Jews do throw around the term ‘homo sovieticus’ or portray the religious population as filthy and disloyal (ultra-religious Jews enjoy an exemption from the army service, but this privilege might soon disappear). Karmiel was created on a land confiscated, apparently, from several villages. It was built as a model town and excels in environment-friendly management. 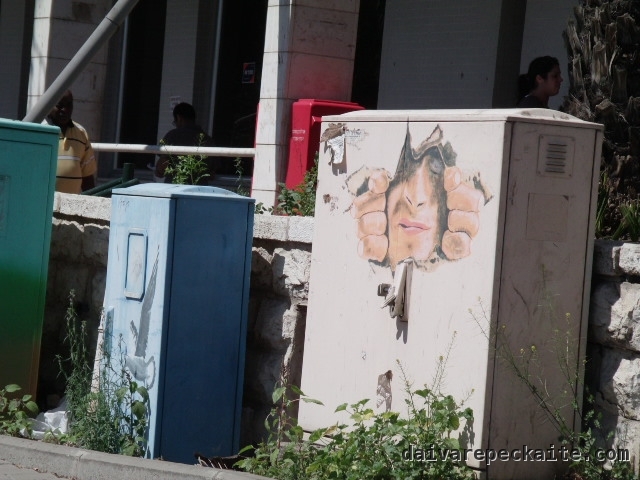 Safed used to be a town before Israeli independence, as Yuval writes in his post. The town briefly enjoyed a tourism boom, but it is becoming slow-paced and increasingly religious. The town dons a poppy as its coat of arms (the one in the picture is not exactly from there, but close). I first heard of Karmiel from my Couchsurfing host in Haifa, who was originally from there. My host is a great guide (he eventually turned this hobby into his job) and extremely knowledgeable about history, architecture and landscapes of Israel, so I enjoyed hiking around Haifa with him and would have definitely formed a very positive and interesting impression of Karmiel had I visited it with him. But my first visit there was during a legendary road trip in March 2010, with my European friends from the Hebrew school. Galilee and Golan are large enough to travel around for several days, but small enough to see the most of it in two. We wanted neither to spend too much money nor hurry, and a Dutch classmate in the group found an optimal solution – we could stay at her friend′s, who was a volunteer in Karmiel, sharing a house with ~20 other volunteers. As I wrote earlier, people who studied Hebrew with us were very diverse: new Jewish immigrants using their ethnic privilege to settle in Israel, foreign spouses of Israelis, students of Middle Eastern or Jewish Studies, and retired Anglosaxons, who decided to spend their free time in Mediterranean climate, etc. But our road trip group was the kind that you can find at every European university – for us it was almost like Erasmus. The volunteers, most of them barely 18, had a different story. They came from either Amsterdam in the Netherlands or Manchester in England, and had upper-middle-class Jewish background. Their families paid to send them to the program, where the recent high school graduates were given a house, but had to work at elderly homes, orphanages and other similar institutions. This way these budding members of the so-called diaspora could make their early contribution to the development of the State of Israel. The Dutch participants spoke perfect English, and listening to them tell us about their experiences was pure delight. The youngsters from Manchester, however, swallowed their consonants and we had to strain our ears to understand at least two words per sentence. “How do you manage?” we asked the Dutch volunteers. “We got used to it,” one of them said. As it often happens, we were a bunch of Europeans who spoke English every day, through the day, but the only accent that troubled us was the native accent. Yuval also met Anglosaxon volunteers and was quite impressed that they were making quite a valuable contribution to inter-ethnic understanding in Israel. The youngsters we met were patiently weaving their contribution into the complex social fabric of Israel, divided by class nearly as much as it is divided by ethnicity and religion. “So, does this experience inspire you? Do you think you′re going to study social work or something when you go back?” I asked one of the volunteers. “Oh no, no, I′ll study banking,” she smiled. 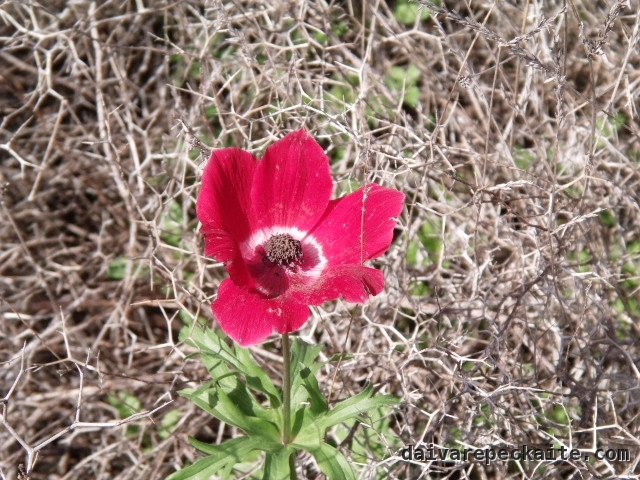 This entry was posted in Travel blog and tagged beaten path, galillee, israel, Yuval Ben-Ami, karmiel, native english, road trip, tourism, travel, volunteering on 2015-02-09 by Daiva.